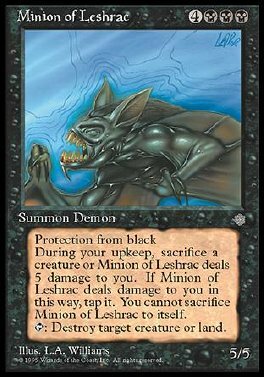 Protection from black At the beginning of your upkeep, sacrifice a creature other than Minion of Leshrac. If you can't, tap Minion of Leshrac and it deals 5 damage to you. T Destroy target creature or land.